Printed documents have almost become a history. Papers are hard to manage and rather expensive to print. So why not to use digital tools to share and review documents instead of producing piles of papers? 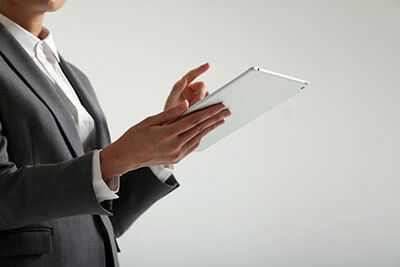 There are several options that allow holding paperless board meetings. The simplest one is to send documents to all participants using an email. But this way has too many downsides. First of all, it is not safe at all to just send sensitive information via an email. Once files are sent, you have no control over them. The receiver can send these documents to someone else. Also, they can be easily stolen because most people don’t worry much about the security of their emails. The other important downside of this option is that it is very hard to organize documents. The receiver has to download them and store on their device. And it is not the most convenient way to deal with information. Also, if a person you need to share files with receives large amounts of emails every day, your email can just get lost among others. It’s hard to collaborate via email as well. Since documents are not organized and structured, the discussion can’t be held properly. Members of the board can’t see the latest changes, opinions, and submissions of each other. Emails just bulk up in complicated threads and everyone ends up with a huge mess of an unorganized data. Thus, monthly meetings become frustrating and hard to hold properly. Another option is to use cloud storages like Google Drive or Dropbox. Here it is easier to structurize documents. Services even allow commenting files. But numerous data leakages from users’ cloud storages have shown that it is not that safe to use such services to store sensitive information. Also, the amount of collaboration tools is rather scarce. That’s why companies implement board meeting management software in their workflows. Virtual boardrooms provide their users with a lot of instruments for the effective collaboration and management. They allow seeing the full picture of what’s going on in the company on the administrative level. Using board management software companies can improve the performance of directors, executives, and the business itself. Members of the board will be able to prepare for the paperless board meetings and hold it efficiently with the help of such software. It’s easy to hold effective board meetings in smaller companies. But if the business is rather big and there are many directors on the leading board, even a monthly meeting becomes a real challenge. Members need a space to collaborate and communicate efficiently. They need to keep a track of processes between meetings and stay in touch with each other. With board portal directors can store, share, edit and review documents securely. Providers of such software protect servers where the user data is stored so there is no chance the information gets stolen or corrupted. The administrator of the virtual boardroom can control and manage the amount of access users have and track their actions. This software helps directors to review the documents in advance and get ready for the paperless board meetings. They can leave notes for other board members, make submissions, accept or decline what other directors submit and much more. Using a board meeting app they can create votings and take part in them. This feature allows to decide on small things or fix minor issues without holding an offline meeting. Also, board members can create small groups in the virtual boardroom that will include only certain directors. It is really useful if, for example, there is no need to involve all members of the board in the discussion. During the meeting, there will be no waste of time since everyone could prepare for it and study all documents in advance. So during the event members of the board can focus on solving issues and discussing things instead of studying the information. Also, since everyone has an access to the boardroom – and this software supports pretty much all existing devices – it is easy to refer to a certain document. With the board portal, all directors see updated information, so they won’t be confused if they work with a right data or not. After the meeting, all information can be recorded and stored in the board software. These records can be accessed later if needed. For example, some directors might want to refresh their memory or clarify some details. Also, using a virtual boardroom, administrators can create tasks for themselves, other directors and executives and track them. This feature improves the collaboration and helps build a steady and efficient workflow. So there is no need to waste time trying to figure out ways to manage the work of the board using inefficient instruments. Since board portal vendors make their software as simple as possible, there is no need to go through any prior training. It is easy to use board management apps – the interface is very intuitive. Still, if users face any difficulties, the support team is always ready to help them out. Yes, basic instruments boardrooms provide their customers with are quite similar. But still, there are significant differences between them. Since there are a lot of providers, they have to survive in this competition somehow. To stand out among others they implement some unique features that will be extremely useful for a certain range of businesses. Our board portal reviews of best providers for paperless board meetings will help you to take a grasp of their qualities and understand what solution fits your business. Then it will be easy to pick the right meeting organizer software.